Intrust Bank was chartered as the Farmers & Merchants Bank in 1876 before becoming the First National Bank in Wichita. The bank is the oldest homegrown bank that is still in existence. Intrust Bank has been instrumental in the development of businesses in Kansas and the entire region. Transit/routing numbers help US banks identify other financial institutions when processing transfers between financial institutions. At Intrust Bank, customers are able to receive domestic and international wire transfers after providing the sending financial institution the necessary details alongside Intrust Bank’s routing number. Intrust Bank’s routing number is 101100029. You can easily find Intrust Bank routing number on the check. 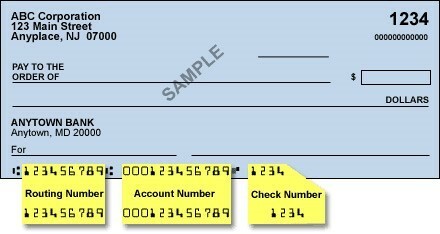 To know where to look it up, consider the following sample check highlighting where to locate the routing number. Similar to other banking institutions in the US, Intrust Bank uses routing numbers to send or receive domestic wire transfers and swift code to receive international wire transfers. Intrust Bank account holders can receive money from abroad, but first, the recipients must provide Intrust Bank swift code among other necessary details to the sending international bank/financial institution. It is a common practice for a processing fee to be deducted for both incoming and outgoing wire transfers. Intrust Bank charges a fee for both International and Domestic Wire Transfers. For more details, please call the customer care department at 800-895-2265.